The manager of Brooke House care home in Brooke has been honoured for her work in dementia care. 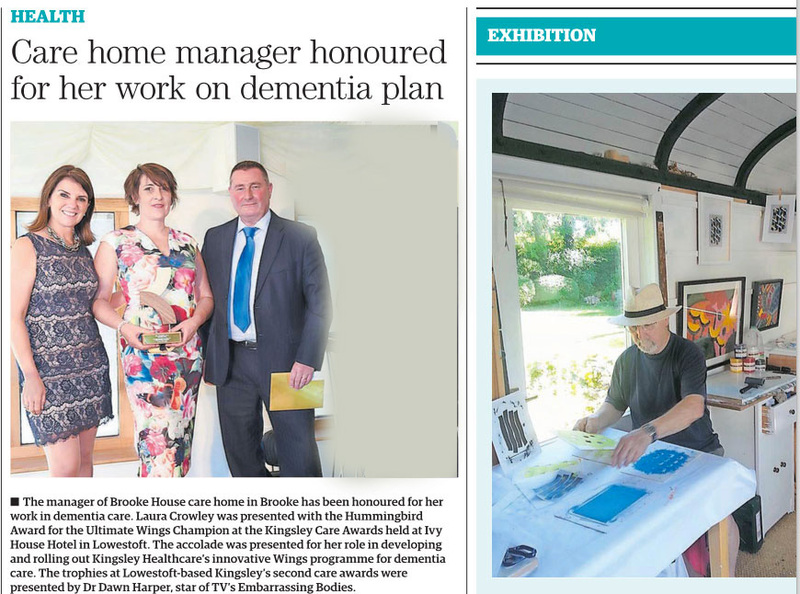 Laura Crowley was presented with the Hummingbird Award for the Ultimate Wings Champion at the Kingsley Care Awards held at Ivy House Hotel in Lowestoft. 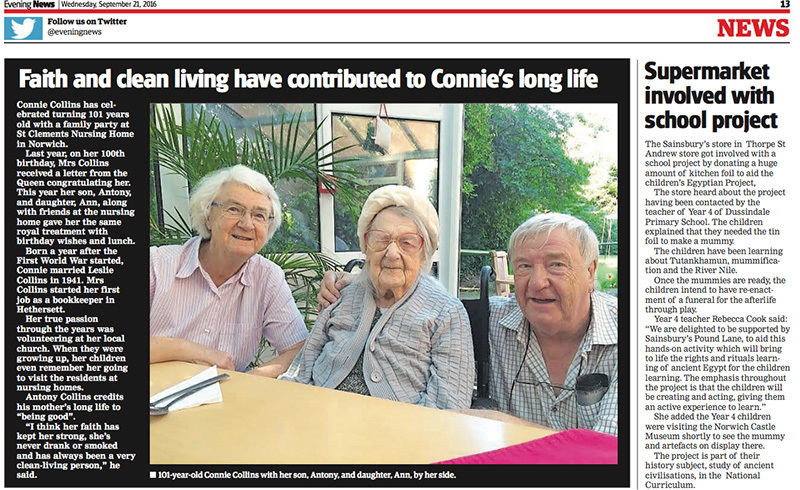 Connie Collins has celebrated turning 101 years old with a family party at St Clements Nursing Home in Norwich. Last year, on her 100th birthday, Mrs Collins received a letter from the Queen congratulating her. This year her son, Antony, and daughter, Ann, along with friends at the nursing home gave her the same royal treatment with birthday wishes and lunch. Kingsley Healthcare’s £6m luxury care home in Partington, Greater Manchester, has welcomed its first residents. The company’s new flagship 62- bedroom home, named Four Oaks, will employ nearly 100 staff equivalent to more than 60 fulltime roles when it is full. 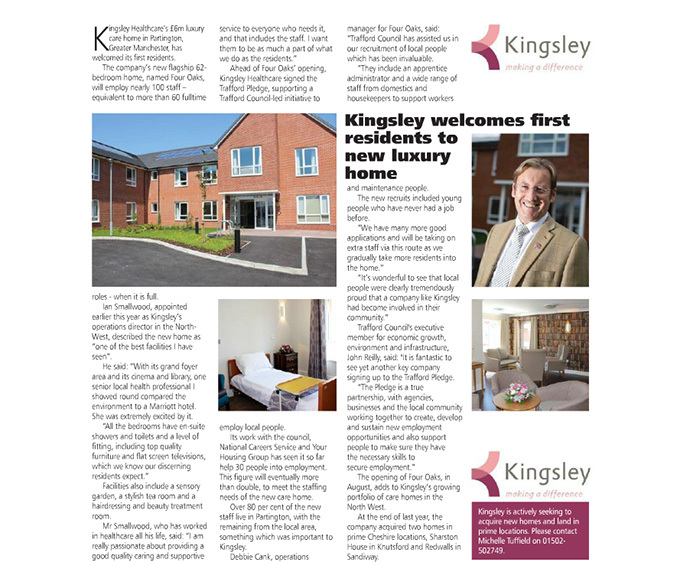 Ian Smallwood, appointed earlier this year as Kingsley’s operations director in the NorthWest, described the new home as “one of the best facilities I have seen”. A DEDICATED team leader at Queen Charlotte Nursing Home in Weymouth was overwhelmed when she was given star treatment on a flight from Norwich to Exeter. 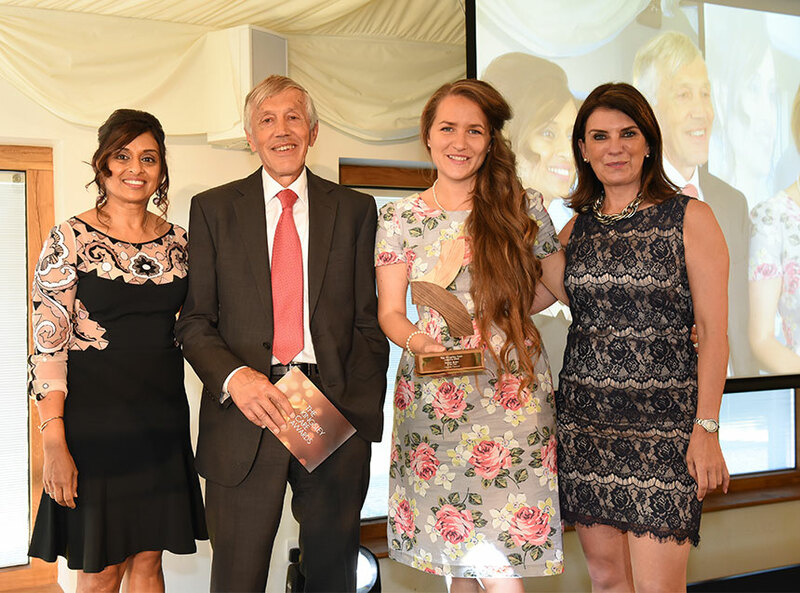 Colleagues of Nicola Turner tipped off cabin crew that she had just won the prestigious Support Worker of the Year title at their company Kingsley Healthcare’s annual care awards. PARTINGTON’S new £6million home has welcomed its first residents after opening its doors for the first time. Kingsley Healthcare's Four Oaks Care Home provides 62 residential luxury nursing and dementia care beds, specialising in dementia care.